Clark II — Bregga & Co. Founded in the fall of 2012, Bregga designs and crafts small leather accessories for the young and young-at-heart professional. 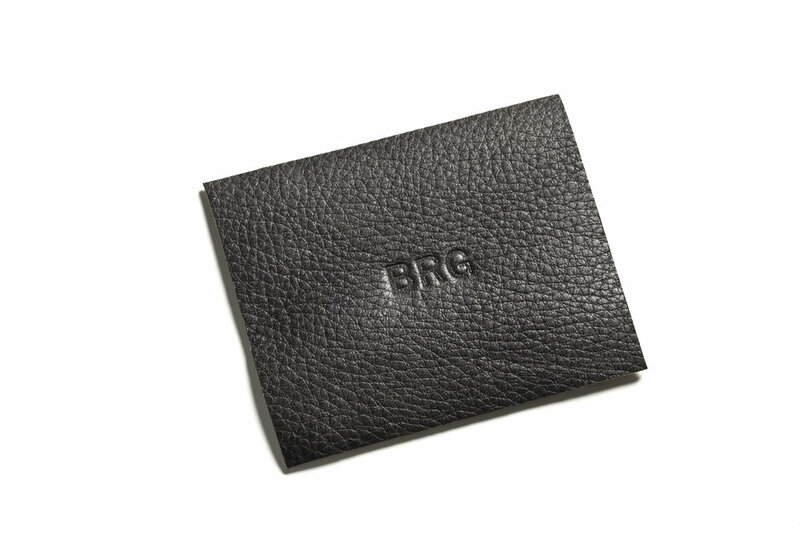 Products include unique business card cases, portfolios and wallets that make a subtle statement for the style minded. Products are made using fine leather and hardwoods. Bregga is based in Philadelphia, PA. Combination card and money clip wallet with laser engraved herringbone pattern. Olive exterior with orange calf skin lining.